In China, collaborative relationships have played an important role in driving financial innovation and inclusion in the country. In Part 1 of this blog series we discussed the Chinese ethos of building the digital finance space together, based on insights from our recent FiDA Partnership fintech study tour to China. In this blog, I touch on the existing partnership landscape in Africa, as well as some of challenges in recreating China’s collaborative atmosphere. Partnerships are happening in Africa. In fact, they are critical to the success of digital finance either to fulfil regulatory requirements, as a means to provide mutually beneficial and essential channels (e.g. funding, distribution, communication), or as an avenue to grow both service offerings and customers. 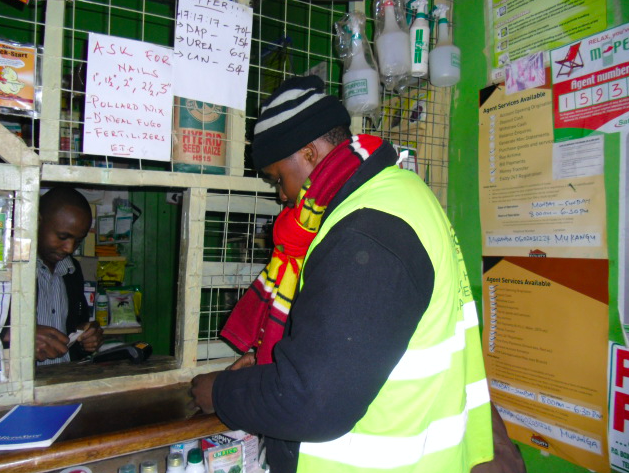 MNO-led bank partnerships – such as Safaricom and CBA’s M-Shwari product – enable mobile money providers to offer products beyond payments and in turn enable banks to reach a wider audience. These types of partnerships, however, also face challenges. A good example is the unsuccessful partnership between Equity Bank and Safaricom through which the M-Kesho product was launched. Both partners struggled to define a mutually beneficial partnership, in part due to them perceiving each other as competitors rather than partners. We also see banks and MNO’s cooperating when a bank wishes to develop their own digital finance brand in order to grow their customer base. They therefore partner with an MNO to leverage its infrastructure for the delivery of digital finance. 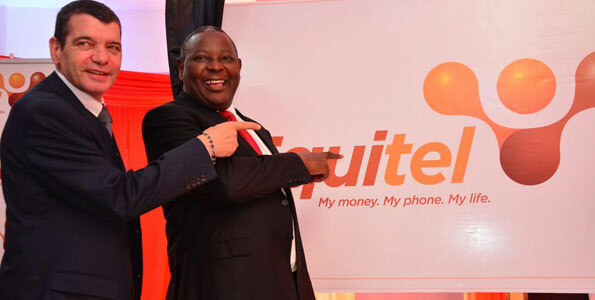 For example, in 2015 Equity Bank in Kenya signed a contractual agreement with Airtel to leverage its access channels to deliver their Equitel service. Partnerships between banks and MNOs also take place for regulatory reasons. In bank-led markets, such as Pakistan, Bangladesh and to an extent Uganda, non-banks are required to either buy a bank, or partner with one, in order to be issued an e-money licence. While the majority of bank-led services are found in Asia, Uganda also regulates that non-banks must partner with a licensed financial institution to offer digital financial services. In Uganda, these banks tend to sit in the background while the MNOs design, brand, market and distribute the services. Wallet-to-wallet interoperability between MNOs is one of the most notable examples of industry cooperation in Africa. In fact, countries such as Tanzania, Rwanda and Kenya that have introduced interoperability at the wallet level are ahead of China where wallets still do not interoperate. In Tanzania providers have noted how interoperability has impacted the quality of services, focusing them on driving “value into the system, rather than growing our own, segregated network”. Despite the potential commercial and financial inclusion benefits of interoperability, expansion has been slow. Even in mature mobile money markets such as Kenya, interoperability has only just been established, and the jury is still out regarding the success of the interoperability pilot. It is important to note that interoperability enabling transfers between mobile money accounts and bank accounts, is more common and better established. In their 2017 State of the Industry report, GSMA noted that bank-to-mobile interoperability has contributed to a notable rise in funds entering and leaving the mobile money ecosystem in digital form. Traditional mobile money providers, such as banks and MNOs, are also cooperating with fintechs, who tend to be smaller, more agile, technology-focused organisations. The ecosystem manager at Barclays’ Rise innovation hub in Cape Town highlighted that the reality for fintechs is like the African proverb: “If you want to go fast, go on your own. If you want to go far, go together”. For small fintechs, partnerships are key to helping them not only access funding, but also reach new customers, overcome regulatory constraints, train data to develop new and better models, and access necessary technology to delivery their services. For banks, the pressure to innovate has led many to invest in and collaborate with fintech start-ups. For example, in 2015 Barclays opened a product lab in Kenya and Standard Bank launched incubator programs in Johannesburg and Cape Town. In China the government has invested heavily in driving financial inclusion by mandating state-owned banks to roll-out cheap bank accounts, resulting in 80% of adults having a bank account in China. High bank penetration means that rather than relying on a cash-in, cash-out (CICO) network, customers seamlessly load funds into their digital wallets through linkages to their bank accounts. While customers can cash out at some retail locations, there are no agent networks. In contrast in Africa, owing to low bank account penetration, financial inclusion is increasingly driven by mobile money. While digital finance has helped accelerate financial inclusion, most African digital finance providers have had to invest heavily in building out their own CICO agent network. Agent network management is the most costly element of a digital finance business; costing between 40–80% of revenue. Such significant investment not only excludes smaller players, but also reduces incentives for larger players to open up and enable other providers to ride on their distribution channels, hence the slow uptake of wallet interoperability. While some African markets have set regulations against exclusive agents, in most markets mobile money is yet to be interoperable at the agent level. For those who have invested heavily in agent networks, they have also likely invested in building up a brand reputation and trust among their customers. The legacy of heavy investment can breed an ethos of competition rather than collaboration. FIBR’s research in Ghana and Tanzania showed that, unlike China, regulation prohibits non-financial institutions to lend. Beyond regulatory restrictions, funding obstacles exist due to early stage risk. Much of this is related to a lack of scale, data, and thus weak algorithms to develop credit-score models. In contrast China comes with scale. The online population size is 730 million, twice the size of America. African countries, even Nigeria, are small in comparison. With scale comes data, which not only enables providers to trial products more effectively, but also allows them to more efficiently test algorithms. This is why technology companies in China are able to negotiate low cost loanable funds from banks by proving their credit score model (see the JD Finance example in Part 1 of this blog). In Africa, digital finance players and even large banks are still refining their models and algorithms. Weak, unrefined algorithms have resulted in banks tending to finance on-lenders at a high price due to the risks involved, or fail to provide any funding at all. It is not only scale that helps Chinese fintech players garner huge swaths of customer data, but also their product offerings. In China, merchant payments led the digital uptake, driven by technology companies who layered payments on top of existing use cases, such as Tencent with their social network and entertainment offerings, and Ant Financial with e-commerce. As mentioned in Part 1 of this blog, payments permitted players to gather valuable data on customers which, along with their existing customer insights, enabled them to develop more sophisticated financial services. In contrast peer-to-peer payments first drove adoption in Africa. Merchant payments have struggled to take hold, except in Kenya where Lipa Na M-Pesa has gained some traction, and South Africa where bank cards and POS terminals are widespread. The lack of merchant payments means less engagement with customers, and therefore less data. Without the prevalence of merchant payments, there is the question of what data could be used to develop new financial services products, particularly data-driven digital credit products for which there is latent demand. A recent IFC market survey asked “What product will lead DFS adoption in the near future?”: 30% of respondents said credit and 25% said merchant payments, beating out P2P at 23%. While digital finance players are exploring partnerships with non-financial institutions to help fill these data gaps, the uptake of big data and analytics in the region has been slow. In the end, partnerships are good for customers. They create options, promote competition and inspire innovation. The Chinese digital finance journey illustrates the value of collaboration, for both providers and customers. Most African countries present a very different commercial landscape with significant barriers to a similarly collaborative environment. However, as traditional bank and MNO revenue streams come under increasing pressure, we will likely see a shift towards business models with a higher reliance on collaboration. Looking to the Chinese experience may present some valuable lessons when the time is right.